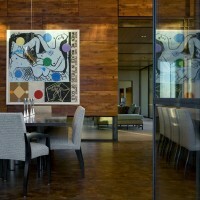 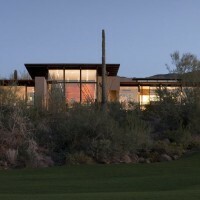 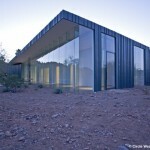 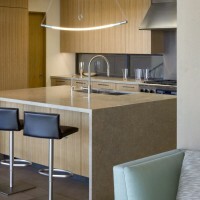 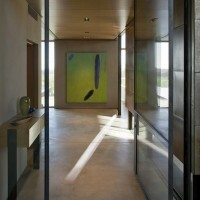 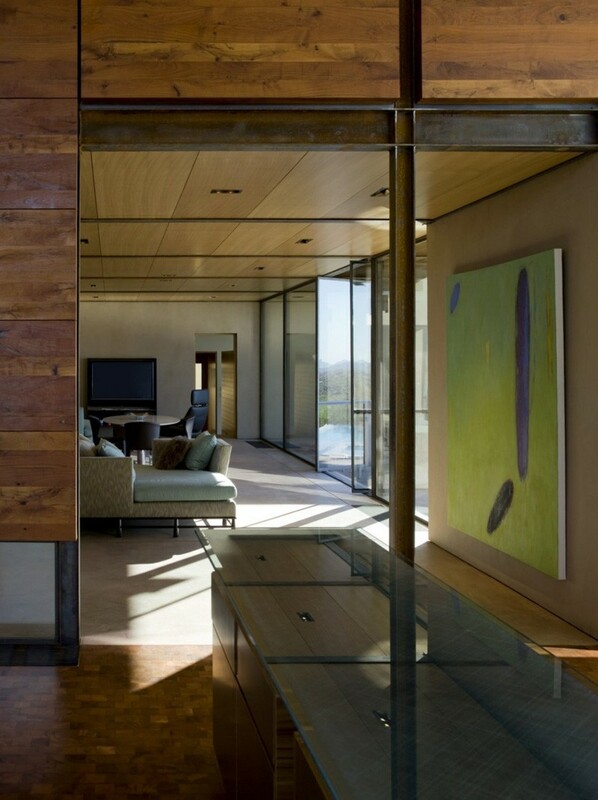 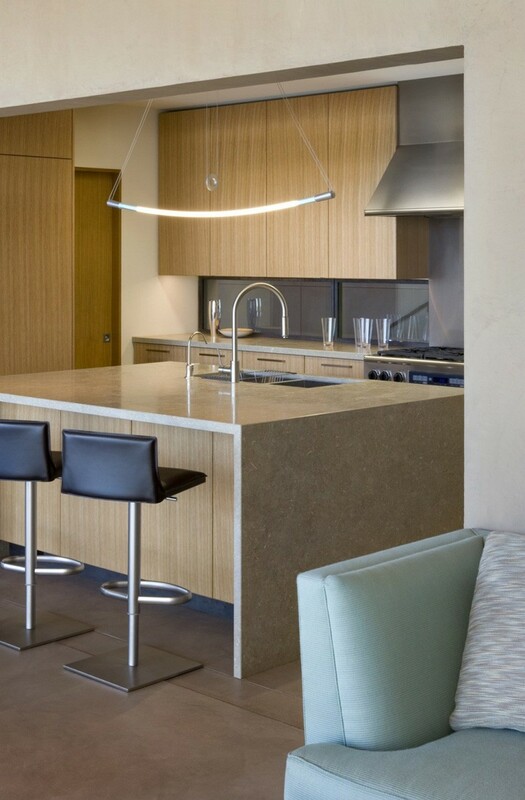 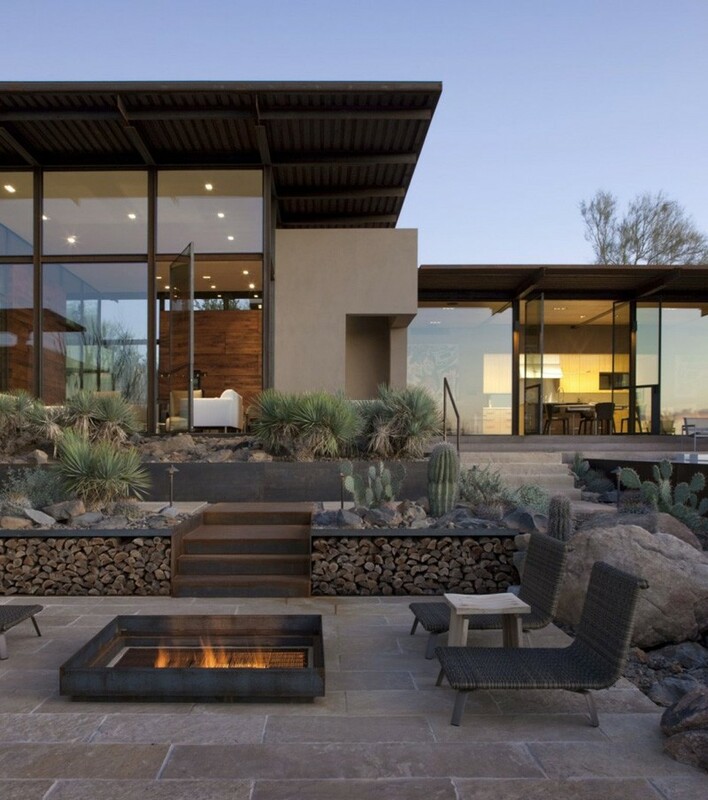 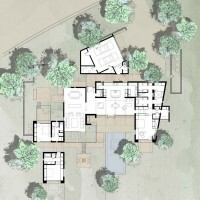 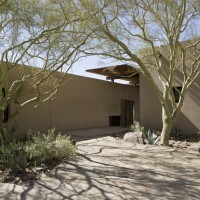 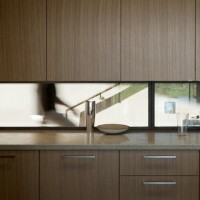 Lake|Flato Architects designed the Brown Residence, located in Scottsdale, Arizona. 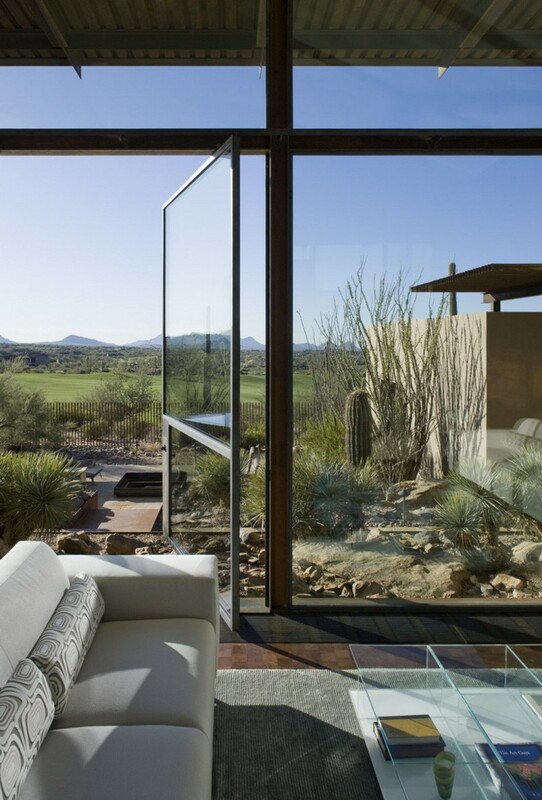 Despite being located in an expansive golf community, the Brown residence celebrates stunning desert views from almost every space. 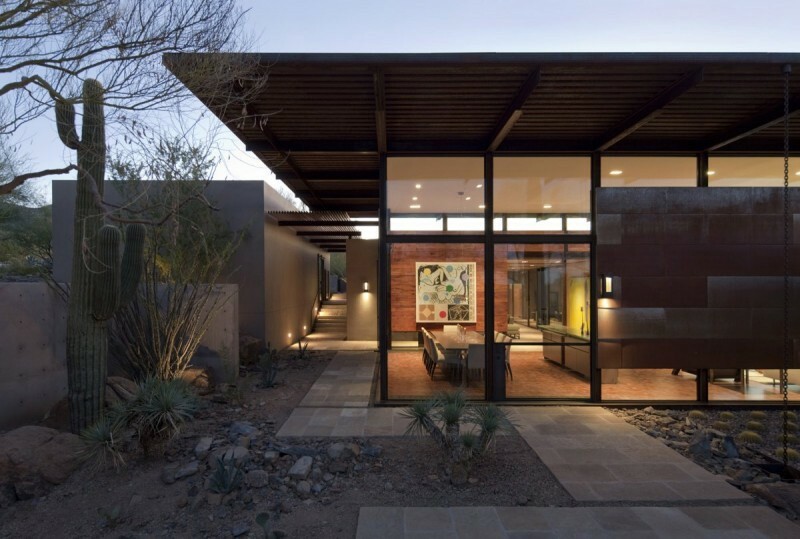 Its careful design makes this possible as views to neighboring houses are edited out focused instead on distant mountains. 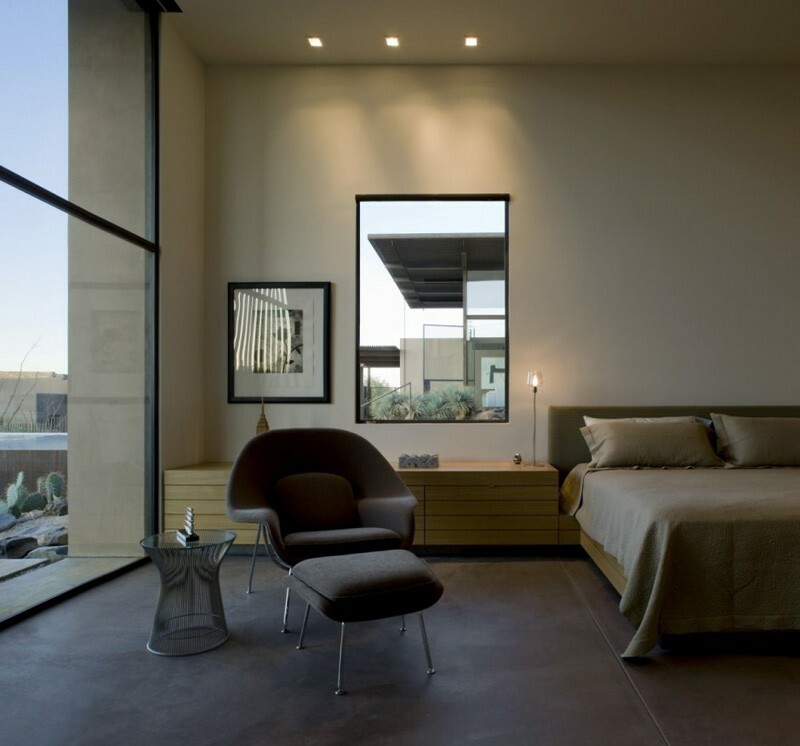 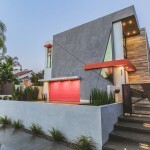 While the residence presents an unassuming, modest scale to the street, it steps down with the slope of the site allowing the spaces inside to become quite generous. 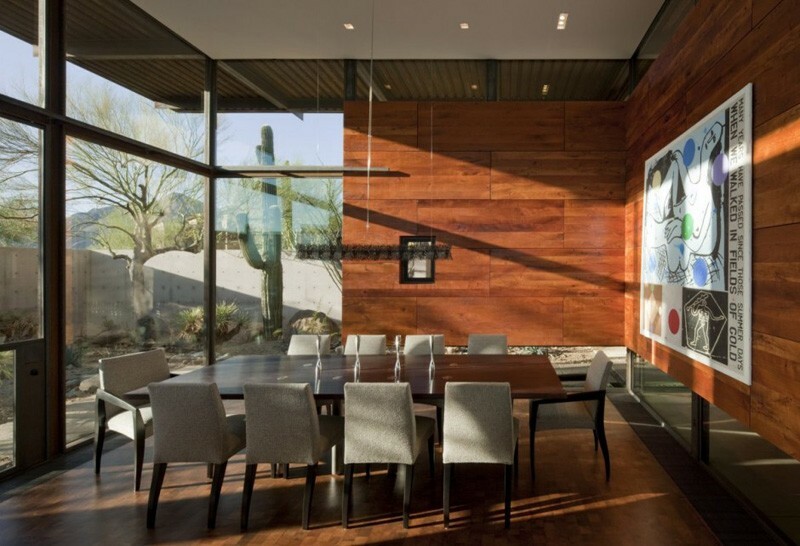 Oversize pivot doors and large expanses of glass allow abundant light and air into these spaces while broad overhangs and shading devices protect them from the harsh desert sun.